Direct Moves Estate Agents are delighted to bring to the market this NEWLY BUILT ( late 2015) home situated within the GREYS FIELD ESTATE development within CHICKERELL, Weymouth. This DETACHED family home comprises of THREE double bedrooms with master EN-SUITE, family bathroom, lounge, kitchen diner, DOWNSTAIRS WC, UTILTY ROOM in immaculate condition boasting DOUBLE GARAGE and low maintenance rear garden. High demand is expected please call Direct Moves Estate Agents on 01305 778500 to book a viewing. Bathroom – Rear aspect double glazed window, panel enclosed bath with shower over, low level WC, wall mounted radiator, hand wash basin, central ceiling light, wall mounted lighting, extractor fan. 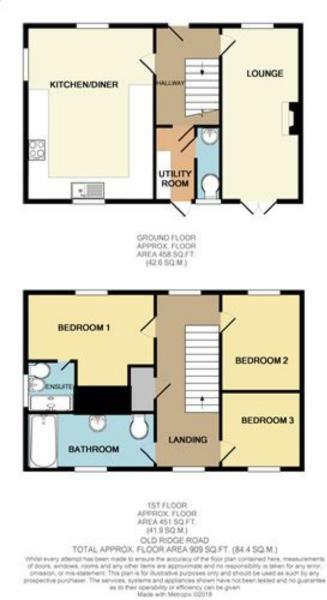 Rear Garden – Laid to lawn, wall enclosed, patio area, outside tap, wall mounted awning, rear access. Double Garage – Electric door, lighting and power. Additional Information – There is a management fee of £170.00 per year.